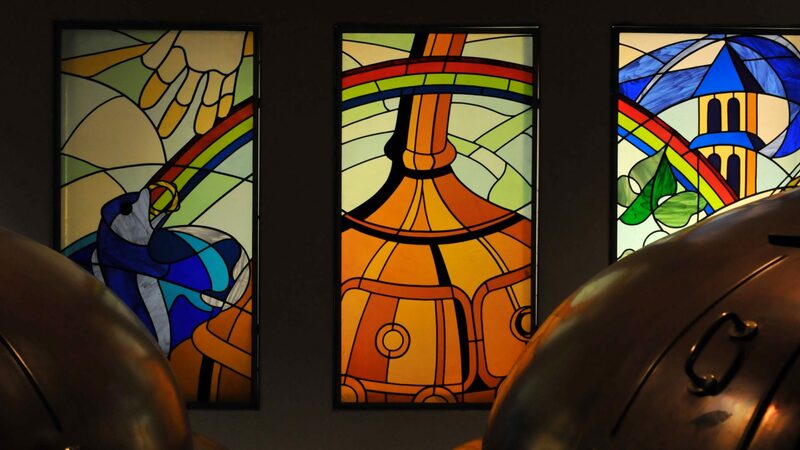 Stift Engelszell was the first new Trappist brewery to join the ranks in quite some time. For years, the Trappist club only had 7 members, the Belgian 6 and the Dutch 1. In 2012, the 8th member, Austria’s Stift Engelszell, joined with two beers: Benno and Gregorius. In 2014, the Abbey added their 3rd beer: Nivard. Originally named Julbiläumsbier, Nivard was initially brewed to celebrate the 250th anniversary of the completion of the Abbey Chruch in 1764. Abbot Leopold Reichl took over the monastery in 1746 after a massive fire in 1699 set the abbey on particularly hard series of years. His strong leadership helped the abbey survive and prosper until the crisis of secularization in 1786. The beer itself is a lighter ABV beer and would fall into the Single or Patersbier range. The other two beers are brewed with the abbey’s honey, although I can’t find anything that specifically says so, I’m assuming this beer uses it as well since that’s the house style and distinction. Appearance: Hazy honey gold/amber, beige head, good retention. Aroma: yeasty spice, fruity, crackers, biscuit, light honey notes. Taste: Biscuit, cracker, light honey, fruity notes. Overall Impression: This beer is light but flavorful with a crisp finish. This is a nice beer and a solid edition to the Stift Engelszell family. This would be an ideal choice when you’re looking for Trappist flavor in a more sessionable package. Availability: Currently, this is not imported into the US by Stift Engelszell’s US importer B. United International. It is available in Austria and parts of Europe. Note: This beer was sent to me by my friend and Belgian Beer Blogger, Belgian Beer Geek. You can learn more about the history of Monastic Brewing here and more specifically about the history of Stift Engelszell here.